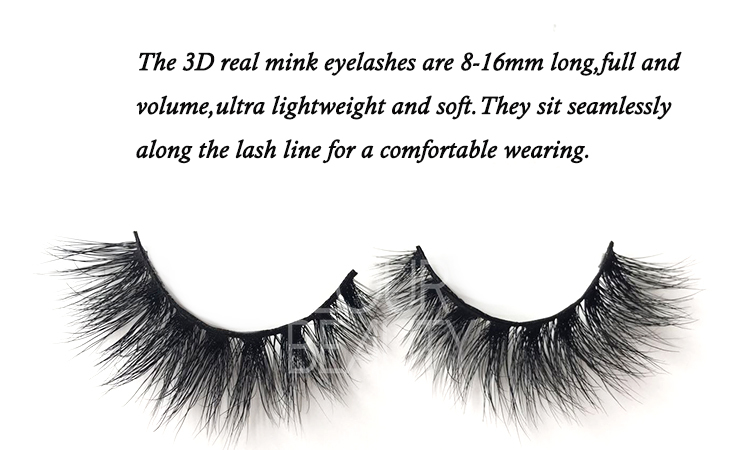 Newest cheap 3D mink fur lashes extend your lashes vendor China.Newest cheap 3D mink fur lashes extend your lashes vendor China.Real mink hairs,soft,light and natural,same as real eyelashes,so when make in multiple layers they are fluffy and vivid curls,but longer,extend your lashes,give beautiful gorgeous looking.We have many new styles of 3D mink false lash,they are much cheaper price,and same high quality.We are the expert eyelashes vendor in China,direct supply to the worldmarket,low price,give you the biggest proft. 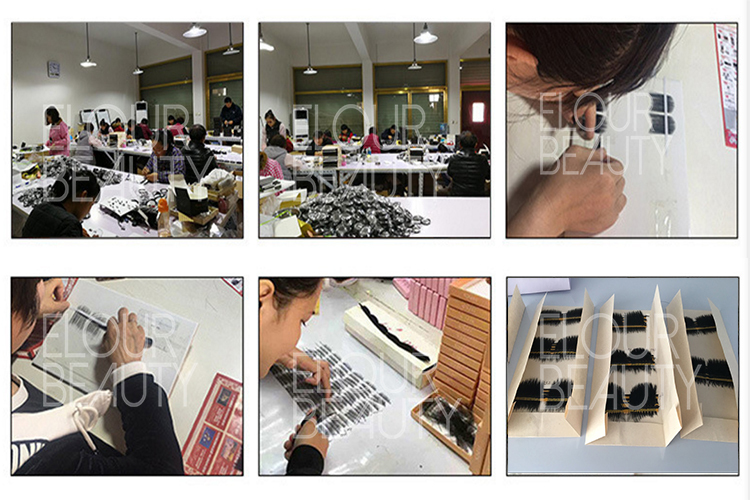 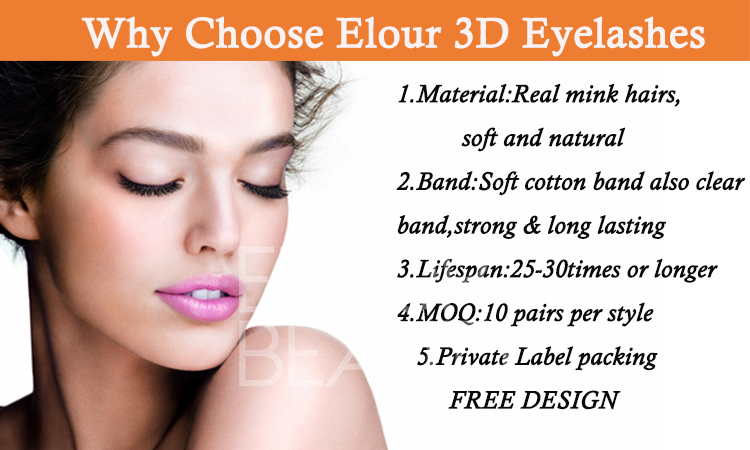 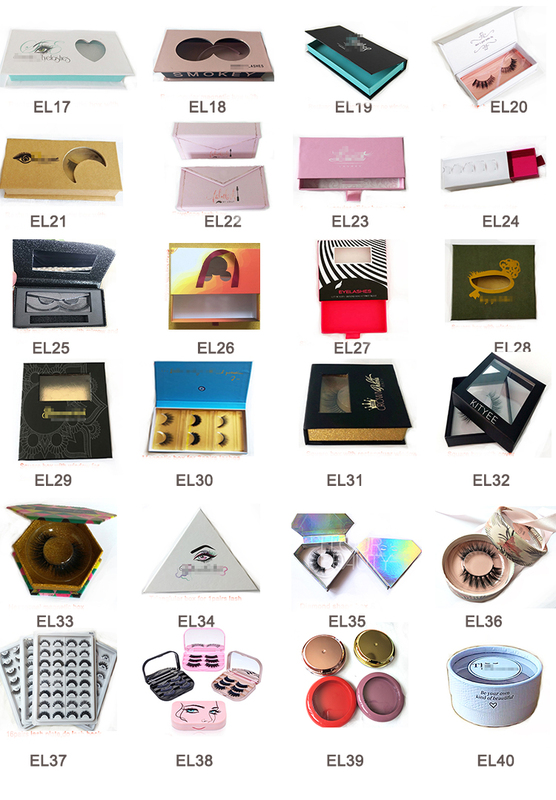 Elour false lashes factory in order to satisfy different customers needs,we always in developing and lauching new styles of lashes.Now we lauch new 3d mink lashes,same styles of our first class 3d mink lashes,but much cheaper price to satisfy more needs.And our daily output is more than 10,000prs,and do customers own package,free design.Best quality lashes,low price,let's win-win. 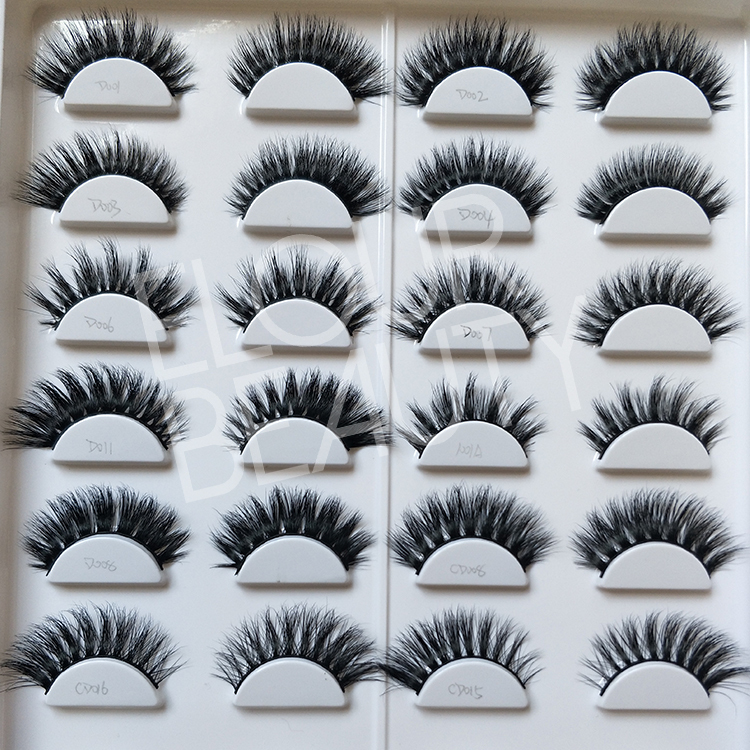 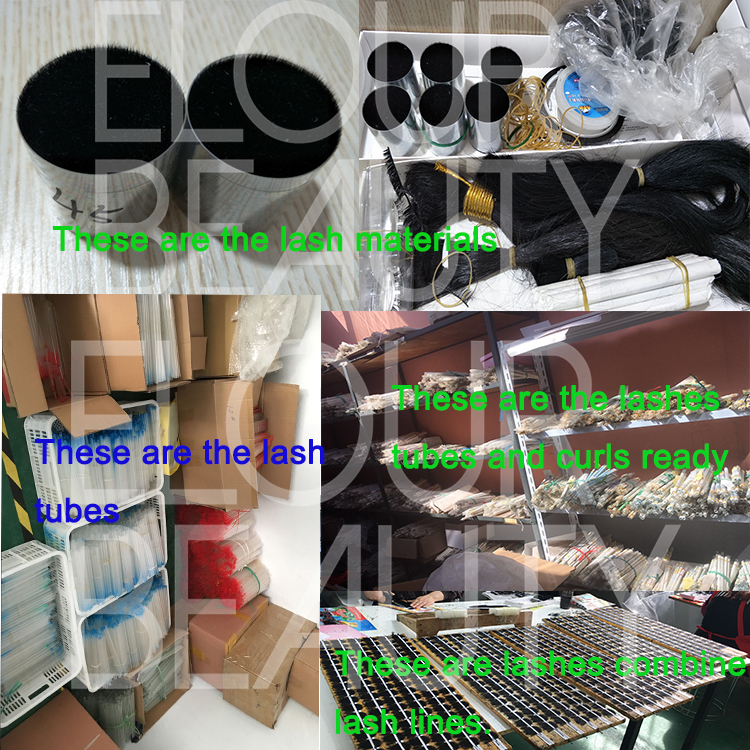 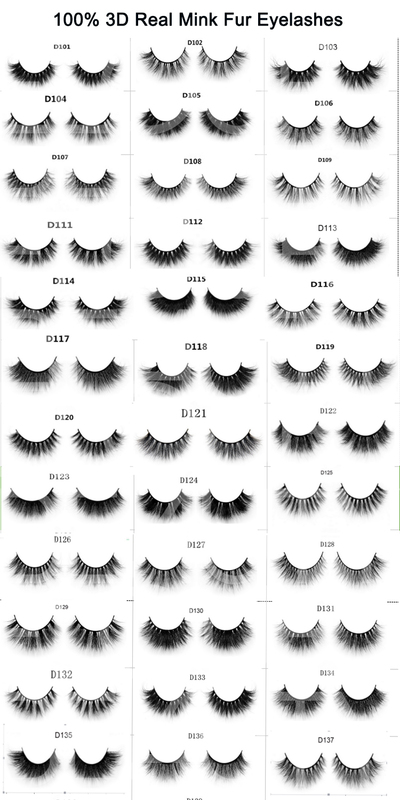 We have several hundreds of styles for the 3D mink hair lashes,and each lash can make in invisible/clear band if you like.And we guarantee for the high and stable quality for each pair and each lot of the lashes.And we have many new styles recently,if you are interested,welcome to visit us. 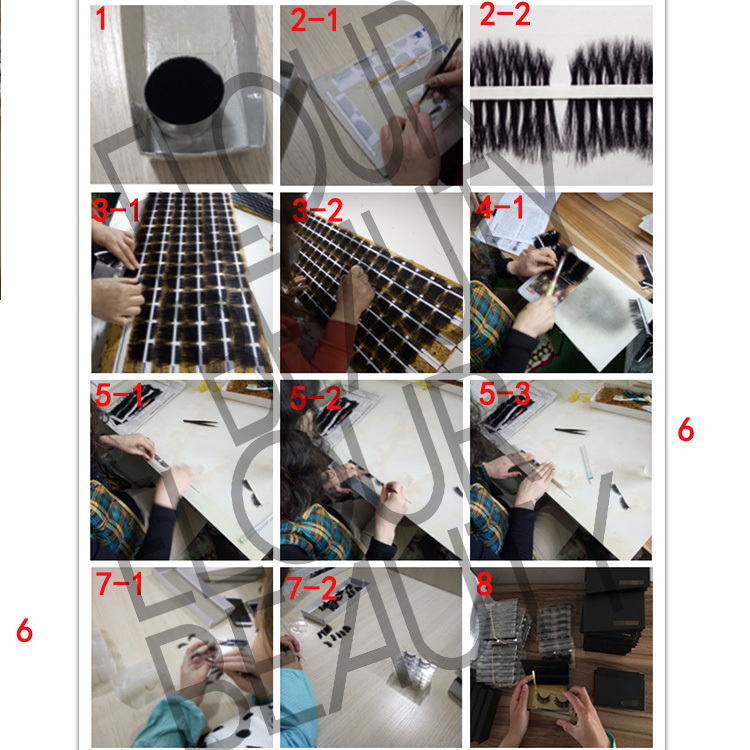 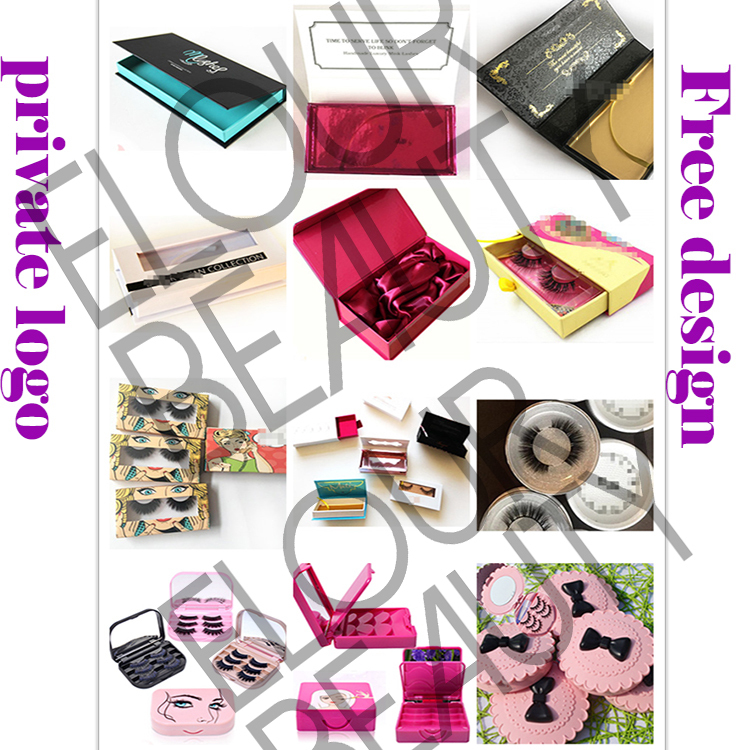 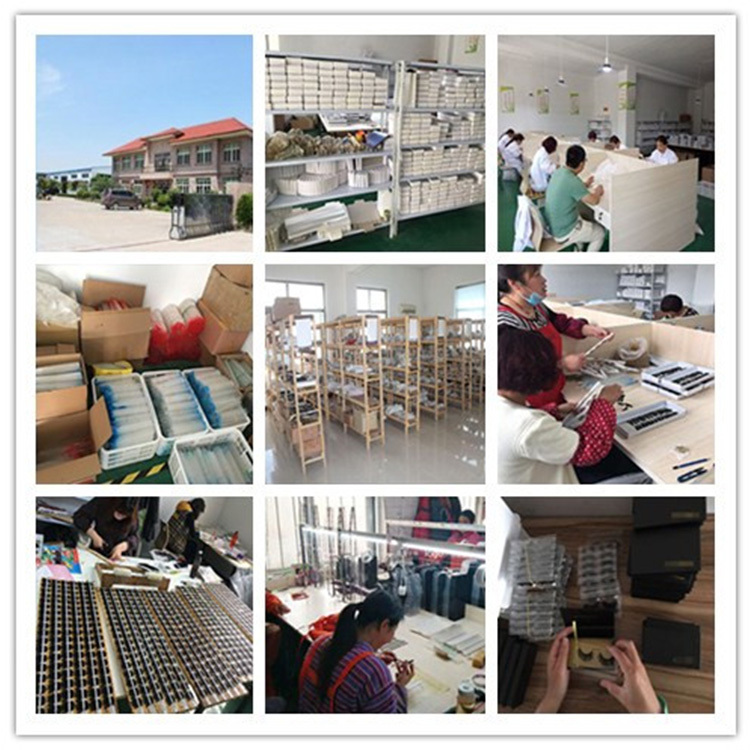 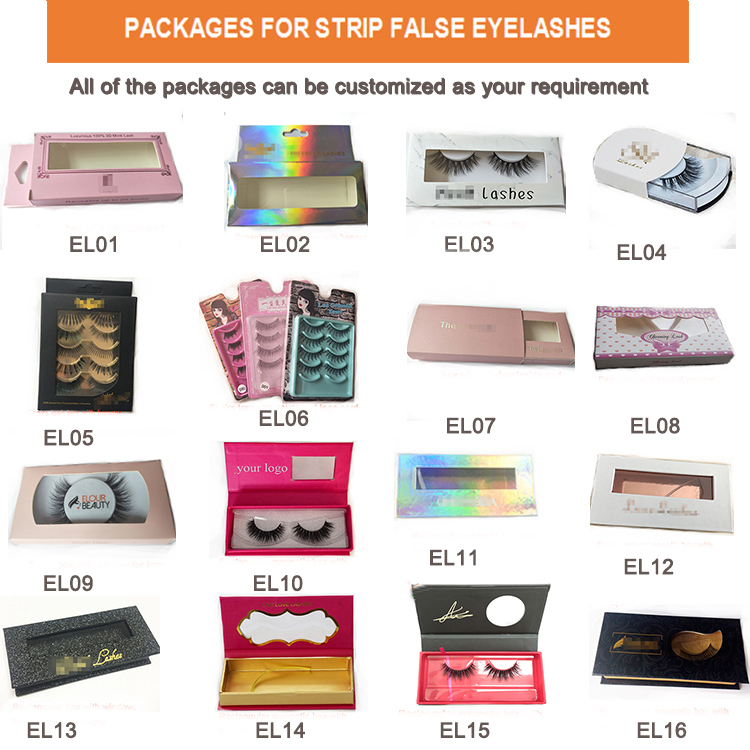 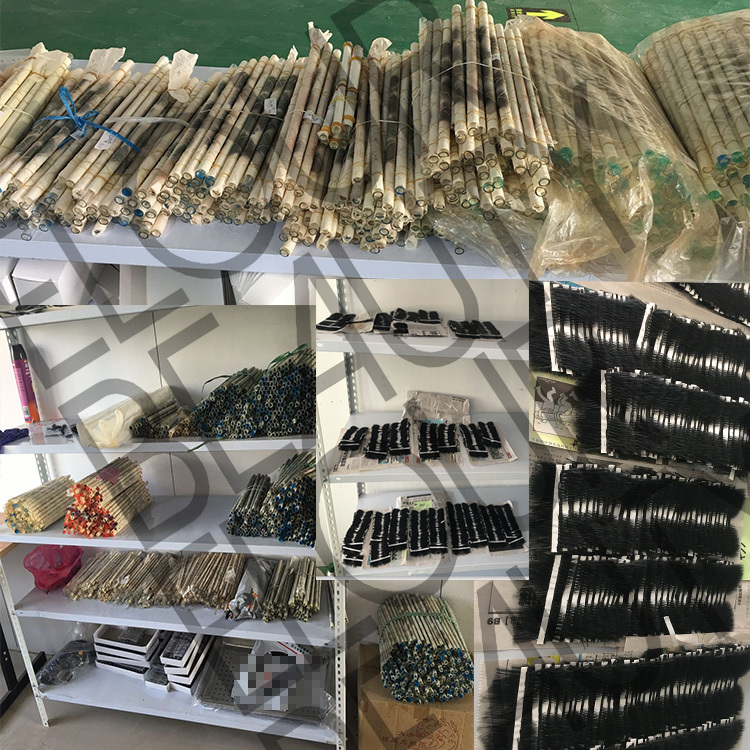 We do hundreds styles of package boxes for the strip false eyelashes,and we do free design.You can do one-step purchasing here. 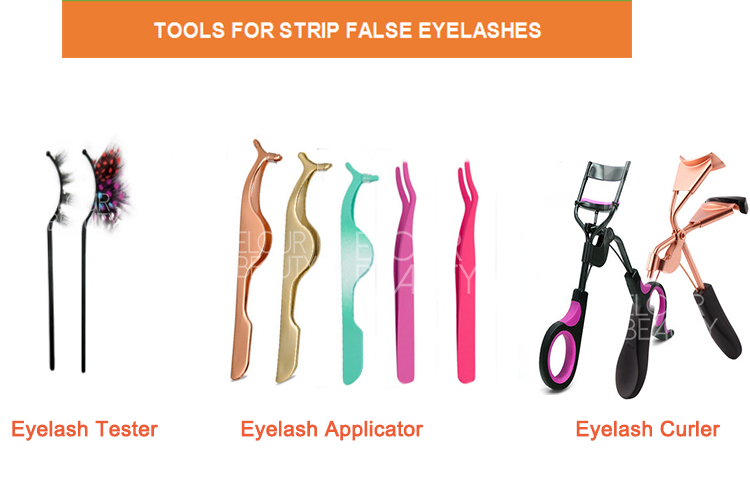 We have different kinds of lash tools and makeup tools,all can make in private brand. 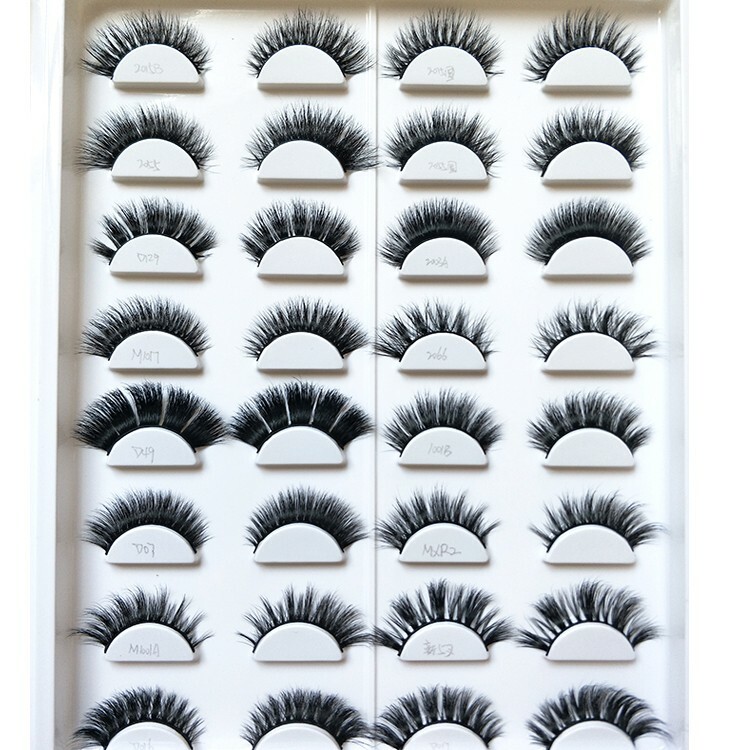 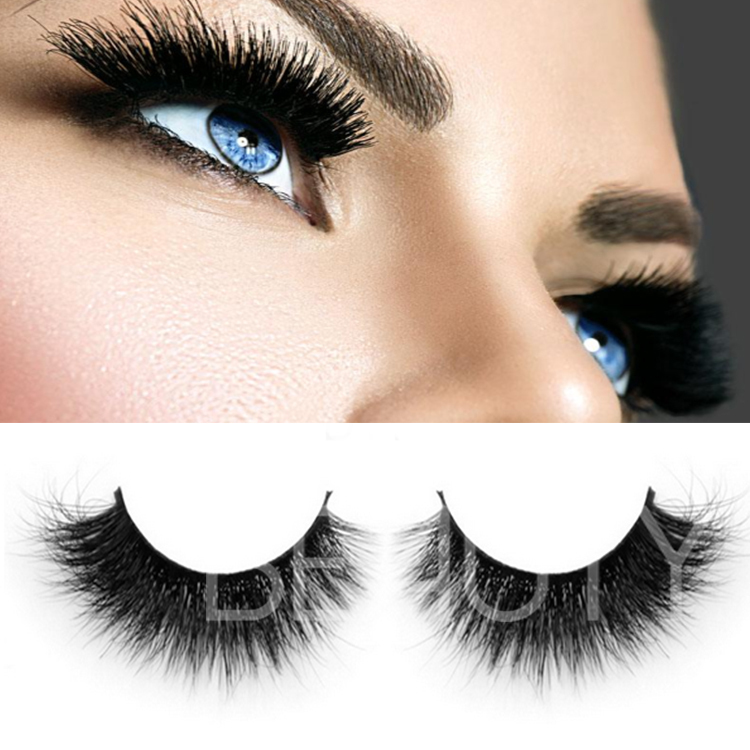 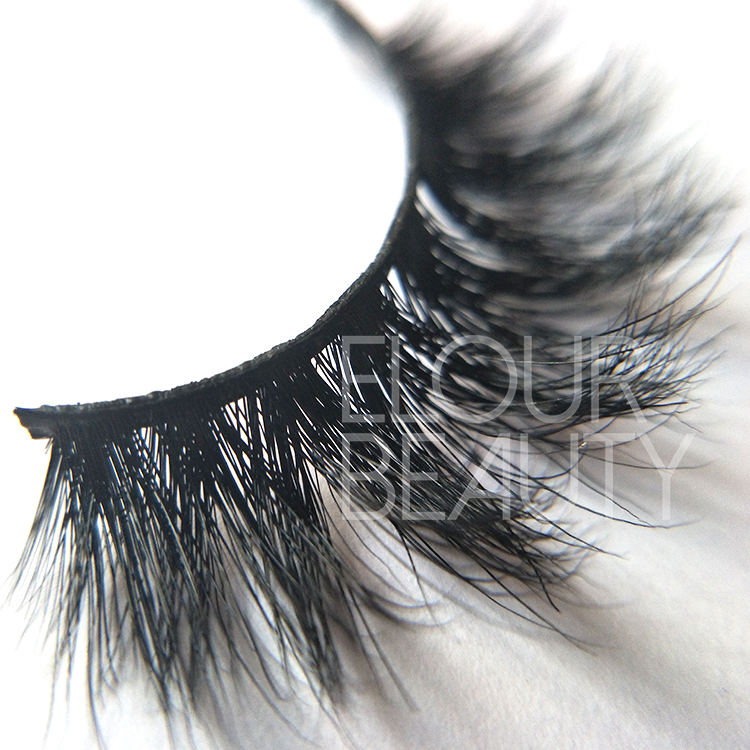 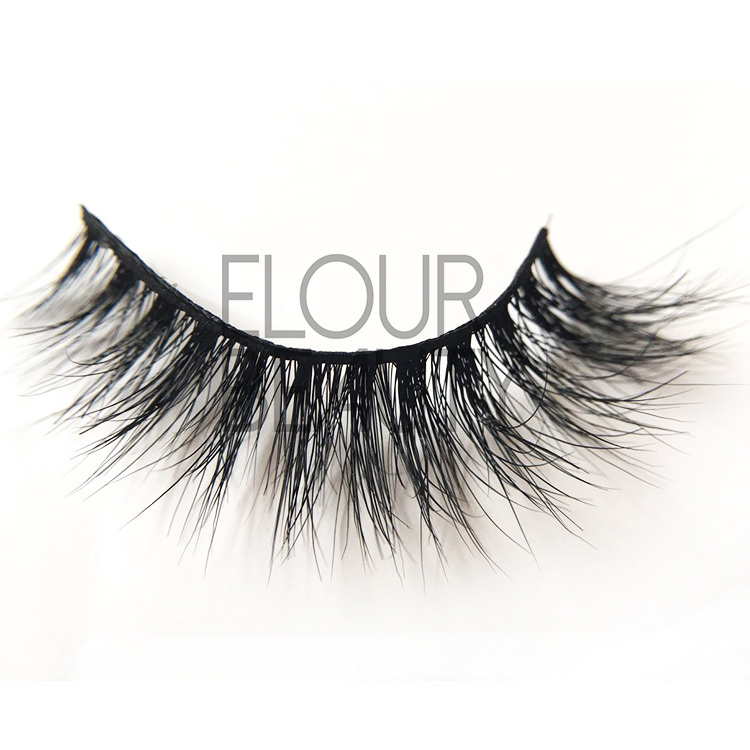 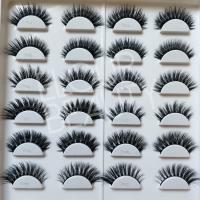 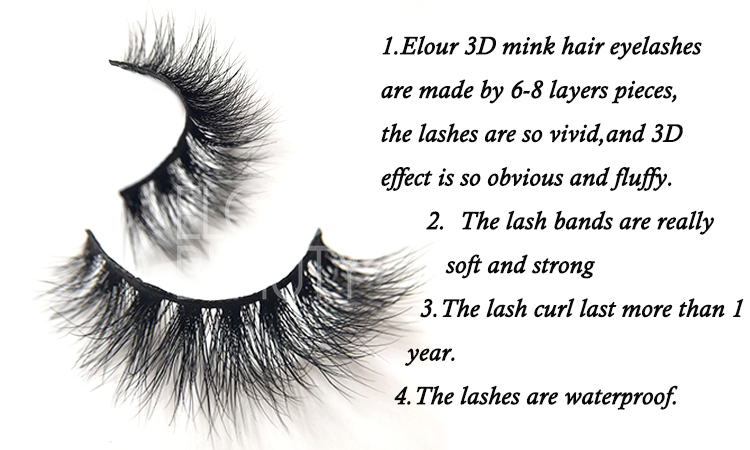 The procedure to making the mink 3d eyelashes and other fake eyelashes.